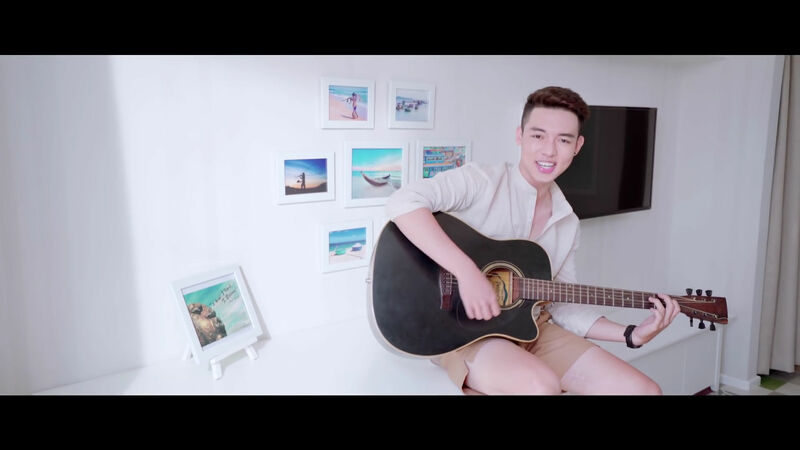 Top 6 finisher of Vietnam Idol 2015 Nguyễn Duy finally makes his music video debut with the song Khoảng Cách 12h. Joining "hotboy" Nguyễn Duy in his debut is "hotgirl" Khả Ngân -- the love interest in this MV.1 In my personally Vietnamese hotgirl ranking, Khả Ngân takes the #1 spot. She is so dễ thương IMO.2 I find her to be very charming. I love the way she smiles. It's so pretty and mesmerizing. Enough of me fanboying over Khả Ngân, let's talk about the MV. Film production company Alien Media makes some of the best Vpop music videos, and they didn't disappoint with Khoảng Cách 12h. Visually, the video looks very professional. A lot of past Alien Media MVs have been very flashy and over-the-top; however, Khoảng Cách 12h is a very simple pop rock/ballad song. I like how Alien Media kept it simply yet professional looking. I'm not one for slow ballads, but I do enjoy occasionally listening to pop ballads and pop rock songs. I'm not against love songs about heartache. I just don't like listening to depressing music. 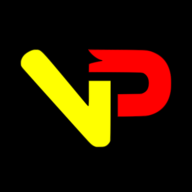 Nhạc buồn? Not interested. Although Khoảng Cách 12h is a song about the struggles of heartache (more specifically, living in a timezone that is 12-hours apart from the one that you love), I'm a fan. It's cheery enough that I can trick myself into liking it. Except for the fact that Alien Media used a graphic of a plane flying from South America to Europe to represent taking a flight from the USA to Vietnam, I would say that Khoảng Cách 12h is a pretty solid debut MV from Nguyễn Duy. And like Nguyễn Duy in this MV, I could always use a little more Khả Ngân in my life. Nguyễn Duy Debuts MV Featuring Hotgirl Khả Ngân - Khoảng Cách 12h <iframe width="560" height="315" src="https://www.youtube.com/embed/6-B38kswKx8" frameborder="0" allowfullscreen></iframe> --- Top 6 finisher of *Vietnam Idol 2015* **Nguyễn Duy** finally makes his music video debut with the song **Khoảng Cách 12h**. Joining "hotboy" Nguyễn Duy in his debut is "hotgirl" Khả Ngân -- the love interest in this MV. [^1] In my personally Vietnamese hotgirl ranking, Khả Ngân takes the #1 spot. She is so *dễ thương* IMO. [^2] I find her to be very charming. I love the way she smiles. It's so pretty and mesmerizing. Enough of me fanboying over Khả Ngân, let's talk about the MV. Film production company **Alien Media** makes some of the best Vpop music videos, and they didn't disappoint with *Khoảng Cách 12h*. Visually, the video looks very professional. A lot of past *Alien Media* MVs have been very flashy and over-the-top; however, *Khoảng Cách 12h* is a very simple pop rock/ballad song. I like how *Alien Media* kept it simply yet professional looking. I'm not one for slow ballads, but I do enjoy occasionally listening to pop ballads and pop rock songs. I'm not against love songs about heartache. I just don't like listening to depressing music. *Nhạc buồn*? Not interested. Although *Khoảng Cách 12h* is a song about the struggles of heartache (more specifically, living in a timezone that is 12-hours apart from the one that you love), I'm a fan. It's cheery enough that I can trick myself into liking it. Except for the fact that *Alien Media* used a graphic of a plane flying from South America to Europe to represent taking a flight from the USA to Vietnam, I would say that *Khoảng Cách 12h* is a pretty solid debut MV from Nguyễn Duy. And like Nguyễn Duy in this MV, I could always use a little more Khả Ngân in my life. [! [:(](http://storage.vpopfan.com/12h_mv2.jpg "Buồn")](http://storage.vpopfan.com/12h_mv2.jpg) [![Kekekeke. I just let one rip. ](http://storage.vpopfan.com/12h_mv3.jpg "Dat Sly, Evil Laughter")](http://storage.vpopfan.com/12h_mv3.jpg) [! [I think something is on your face there. ](http://storage.vpopfan.com/12h_mv4.jpg "Master Baker At Work")](http://storage.vpopfan.com/12h_mv4.jpg) [! [So pretty. ](http://storage.vpopfan.com/12h_mv5.jpg "Hotgirl Khả Ngân")](http://storage.vpopfan.com/12h_mv5.jpg) [! [I made this cake just for you. Gluten-free of course. ](http://storage.vpopfan.com/12h_mv6.jpg "Surprise! ")](http://storage.vpopfan.com/12h_mv6.jpg) [! [Getting de-pants by Khả Ngân doesn't seem all that bad if you ask me. ](http://storage.vpopfan.com/12h_mv7.jpg "Pant Thief")](http://storage.vpopfan.com/12h_mv7.jpg) [! [To get girls of course. ](http://storage.vpopfan.com/12h_mv8.jpg "Why do guys play the guitar? ")](http://storage.vpopfan.com/12h_mv8.jpg) [! [I wonder what Arsenio's doing right now? ](http://storage.vpopfan.com/12h_mv9.jpg "12-hour Time Difference")](http://storage.vpopfan.com/12h_mv9.jpg) [! [Đi chết đi! Please die...](http://storage.vpopfan.com/12h_mv10.jpg "Dat Death Stare")](http://storage.vpopfan.com/12h_mv10.jpg) --- Notes [^1]: A "hotboy" or "hotgirl" is a term/label bestowed upon a young, fresh face that catches the attention of the Vietnamese public. You can think of it as being the Vietnamese equivalent of being a "It-Girl" or "It-Boy". [^2]: "Dễ thương" is Vietnamese for cute, adorable, kawaii, etc. "Dễ thương" literally translated means "easy to love" in English.